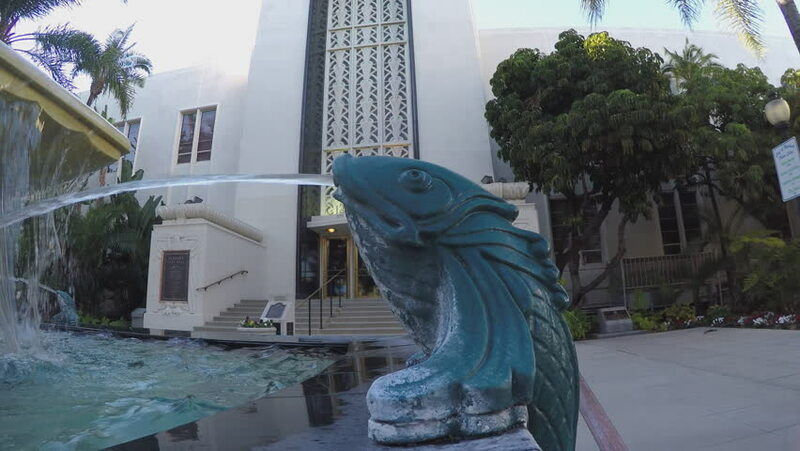 BURBANK, CA/USA: February 21, 2016- A close up of a spitting fish sculpture in a fountain produces relaxing sounds. A fish fountain is in the front courtyard of the entrance to the City Hall building. hd00:09CORDOBA, SPAIN - JANUARY 24 2017: Monument of Rabbi Moses ben Maimon commonly known as Maimonides in Cordoba, Andalusia, Spain. hd00:28MIAMI, FL - MAY 18: Stock video of the valet ramp at the Intercontinental Hotel Miami FL May 18, 2013 in Miami, FL. hd00:3025th May 2017. Bangkok, Thailand. Bangkok's city view from window of BTS sky train. hd00:28Slow motion. Close-up of guitar playing. Guitarist hits the strings of the guitar. Skill. Playing a musical instrument. Stringed Musical Instruments. Black guitar with abrasions. Old Guitar. 4k00:18PARIS, FRANCE - AUTUMN, 2015: Art Gallery of the Louvre Museum in Paris. France. France. Shot in 4K (ultra-high definition (UHD)). 4k00:12Aerial view of a Dystopian New York city in the future with projection mapping on buildings with cyberpunk, neon colors. Wide shot. Shot on 4k RED camera.